Four pure solid silver conductors, each insulated in oversized Teflon tubing, giving a near-ideal air/Teflon dielectric. Terminated with silver-plated RCA plugs, or XLR connectors. The Silver Dream has acheived wide-spread acclaim for bringing the previously stratospheric cost of ownership for pure silver interconnects down to an affordable level. 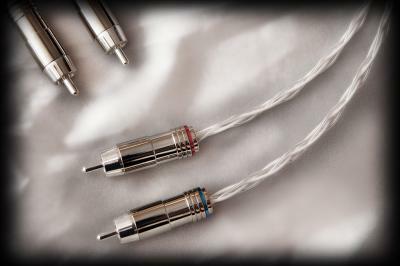 Now top quality pure silver cabling is no longer an "impossible dream" for most audiophiles.